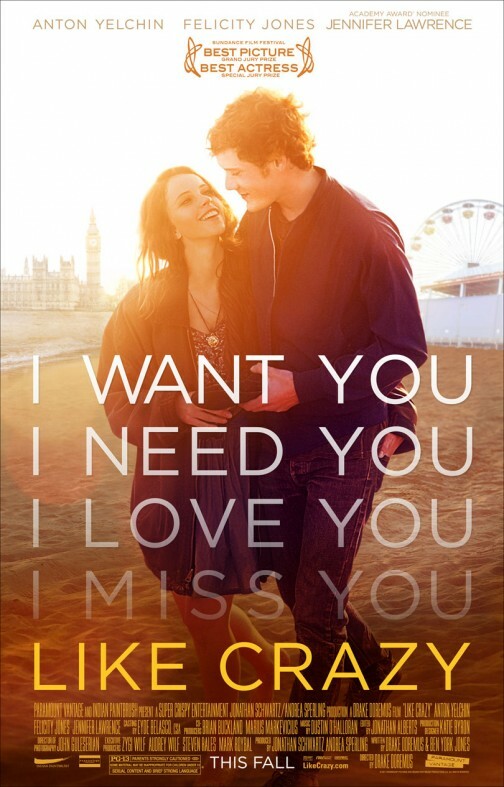 The Reel Place and Paramount Vantage are excited to offer you passes to an advance screening of Like Crazy, the Sundance 2011 Grand Jury Prize winner. Believe me, this is a screening you don’t want to miss. The advance screening will be held on Monday, Nov. 14 at 7:30 PM in Salt Lake City. To get your passes, simply click here or on the poster image above. You will taken over to ticketing site Gofobo. Registration is necessary, but is completely free and comes with the additional benefit of receiving email invites to other advance screenings in the future.